How tall is Christopher John "Shehyee" Rosales Ongkiko? 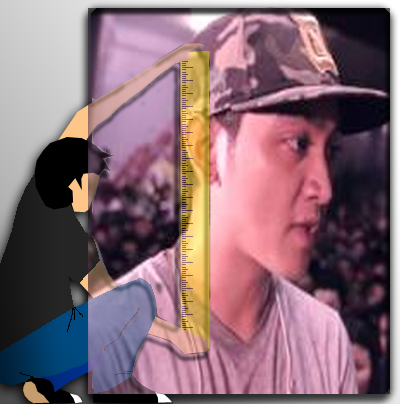 Here are some information about Christopher John "Shehyee" Rosales Ongkiko's height. About Christopher John "Shehyee" Rosales Ongkiko. Shehyee is a rapper, singer, hip-hop artist. He is also a songwriter. Shehyee is from the Philippines. He is one of the most popular fliptop artists, now gaining much more popularity for winning the Dos Por Dos fliptop contest with his partner Smugglaz. Their team won Championship for the Fliptop contest over Harlem and Juan Lazy. Some of Shehyee's songs are Flash Forward, Maria Clara, Into It, Shehyee Loves Me. Shehyee's height is 5ft 5in or 165cm while I am 5ft 10in or 177cm. I am taller compared to him. To find out how much taller I am, we would have to subtract Shehyee's height from mine. Therefore I am taller to him for about 12cm. And see your physical height difference with Shehyee. Do you feel that this height information for Shehyee is incorrect? What is your suggestion about the height of Shehyee?